SPRING HILL, Fla. (AP) Mary Boone of Spring Hill, Florida, did not have a good night’s sleep. Awakened by a loud bang around 3:30 a.m. Thursday, she looked outside and saw the driveway buckling under her car. 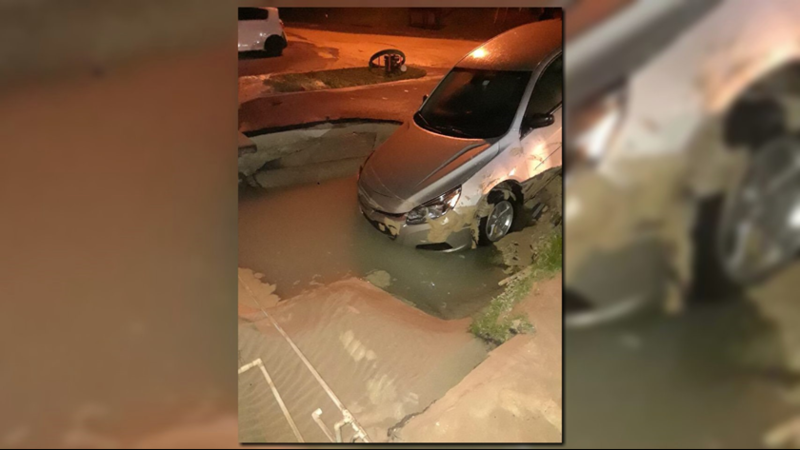 She says she hurried out to move it, but just as she got in, the driveway collapsed and the car fell nose-first into a 6-foot (2-meter) deep hole. She told news outlets that she managed to get out, scraping her leg in the process, but now the hole stretches about 30 feet under her home, which had to be evacuated. Hernando County officials said in an email that water from a broken main washed away sandy soil. Officials plan fix the pipe, fill the hole, and determine any damage to the building.